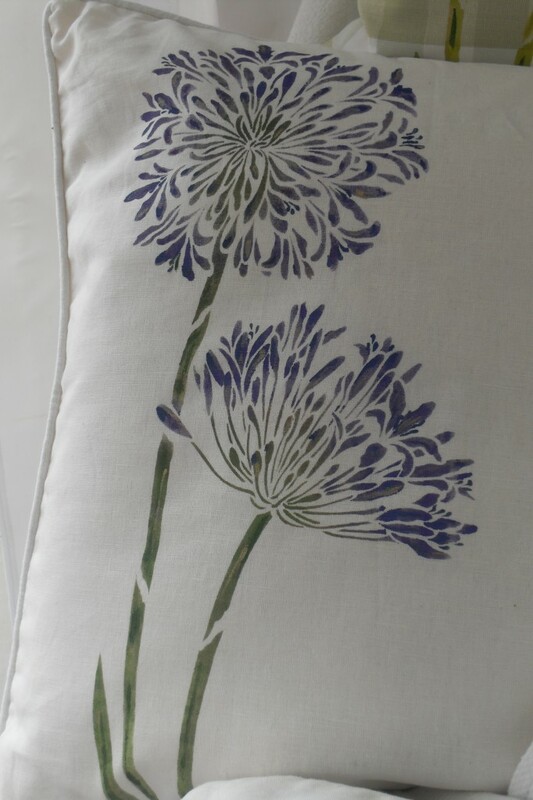 A Purple Agapanthus cushion with a design of the Agapanthus or 'African Lily' flowers. Hand stencilled on 55%linen/45%cotton cream fabric. NOTE - Due to high demand, our stock level of this popular design is currently low. As this is a hand stencilled cushion, please allow an additional 7 days for delivery.